How do you envision your perfect basement? The answer will be different for every homeowner, but there are tips for a successful basement remodeling that apply to any project. It is important to gather information, and research the best approach that will work for you and your family. 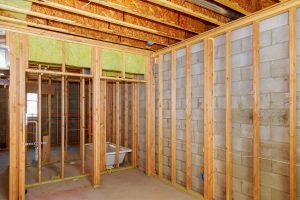 Keep in mind these basement remodeling tips to ensure the greatest enjoyment of your new space. Before you begin, you’ll want to check if your remodeling plans require any kind of construction permit. This will be especially relevant if you’re adding bedrooms or doing electrical and plumbing work. The good news is that if you’re working with a professional company, they will be knowledgeable about specific permit requirements, and can help you file. Along with securing the legal necessities, you’ll also want to first locate any moisture issues in your basement. It is important to take care of mold and mildew areas before you remodel to combat future health concerns. As part of the remodeling process, you may want to look into mildew resistant framing features if you’re redoing your walls, to be extra cautious. Once you have the technical aspects of your plan taken care of, you can focus on the more exciting tips for a successful basement remodeling. That is, what are the structural and design areas that you want to focus on? This will depend on the chosen uses for your new basement. If you’re planning to add bedrooms, you’ll want to consider removing or installing walls to create the desired space. If it’s your wish to utilize the space mostly for entertaining, you might explore relighting, more attractive ceiling and floor tiles or carpet installation. Have a detailed picture in your mind so you can be precise in the execution of your plans. To get the most out of your remodeling, work with a professional whose work you admire and trust. Take some time to explore their website for inspiration and ideas. Remember that they may have further tips for a successful basement remodeling to share, having the most relevant experience and knowledge.